Welcome back to the Arne Wellness Center blog. Lyme disease is one of the most common and fastest growing infectious diseases in the country and, as a result, health practitioners in all fields are constantly researching and developing new treatments to help patients who suffer from Lyme disease manage and treat the symptoms connected to this condition. In our recent blog series, we looked at many of the common symptoms associated with the onset of Lyme Disease and the symptoms that may develop over time. At Arne Wellness, our Lyme-literate doctors are wholly dedicated to providing those in Littleton who have Lyme disease with the utmost care using natural treatments that address symptoms caused by this disease. 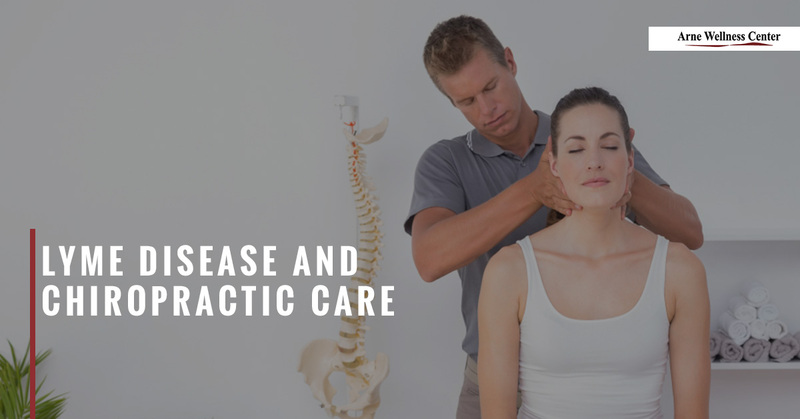 In today’s blog post, we will explore the benefits of treating Lyme disease symptoms with natural treatments such as chiropractic, acupuncture, natural medicine, massage therapy, and nutritional counseling. Please continue reading below to learn more. Chiropractic treatments focus on improving the function of the musculoskeletal and nervous systems. The nervous system is the most important system in the body as it regulates everything from your immune system, to muscle function, to healing from injuries and other health conditions. In order to encourage healthy body function, chiropractic adjustments (spinal manipulations) correct and realign the spine to stimulate the proper function of the central nervous system that supports the entire body. Spinal adjustments can boost the immune system and stimulate the body’s natural ability to heal itself, which may manage pain and discomfort caused by Lyme disease. Those patients afflicted by Lyme disease often suffer from symptoms that can linger or fade away over time including chronic fatigue, fibromyalgia, muscle weakness, and joint aches, all of which can be treated with chiropractic adjustments, stretches, electric muscle stimulation, muscle therapy, and ultrasound that can reduce inflammation. Acupuncture is a form of Chinese medicine that involves the use of tiny needles which are placed in specific meridian points on the body that correlate with different organs and systems in the body. Placing needles at specific points that relate to Lyme disease can effectively reduce muscle pain, joint ache, inflammation, chronic fatigue, severe headaches, hyperactivity, and numbness. Additionally, acupuncture for Lyme disease can also improve sleep patterns, reduce night sweats, and alleviate stress, anxiety, and depression which many patients suffering from the disease experience on a regular basis. Acupuncture encourages relaxation which may also manage and treat other emotional aspects of the disease that can affect a person’s mood. Acupuncture and chiropractic care complement one another which can significantly relieve the pain and aches associated with Lyme disease. If you or a loved one in Littleton suffers from Lyme disease, please come see our chiropractor or refer your loved one for a consultation with us. Receiving chiropractic care and/or acupuncture to treat the pain and discomfort associated with Lyme disease at Arne Wellness Center may reduce the onset of the more severe, longer lasting symptoms while also helping you manage your current symptoms. Call Littleton’s Top Rated Local® wellness center to begin natural pain relief treatments today.